BEIJING (AP) — Two U.S. lawmakers are urging the extension of tougher American export restrictions to prevent sales of equipment that could be used in China’s massive security clampdown targeting the Xinjiang region’s native Muslim population. “U.S. companies should not be assisting in the expansion of China’s systems for surveillance, detection, and detention, or be complicit in what are gross violations of internationally recognized human rights occurring daily” in Xinjiang (SHIN-jhang), the letter said. Listing would place the entities under export administration regulations requiring American companies wishing to sell to them to be subject to “specific license requirements for the export, re-export and/or transfer (in-country) of specified items,” according to the Commerce Department’s Bureau of Industry and Security. 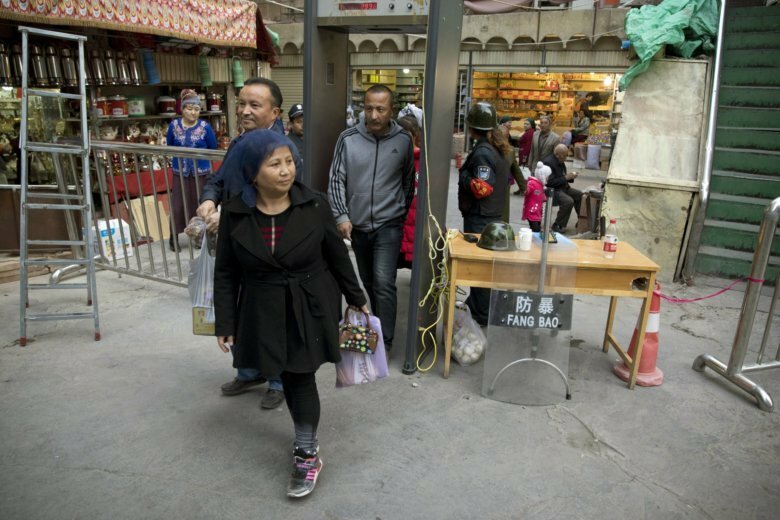 The measures target members of the Uighur (WEE-gur), Kazakh and other Muslim minority groups, with the region’s ethnically Chinese residents largely exempted. In addition, monitoring groups say as many as 1 million Muslims have been sent to a system of internment camps , also known as “re-education centers,” where they are locked up for months without trial and forced to undergo political indoctrination and renounce Islam and traditional culture.